In Hurricane Crimes, Ryan Goldwyn’s journal is highly important. Inside it is all the information he logged about the drugs going missing in his police department and the suspects—Viktor Chuman and David Buckland. Donovan, his brother, risks his life to keep the journal out of the hands of the cops who murdered Ryan. It’s also the biggest piece of evidence Donovan had to prove his innocence when these cops frame him for his brother’s murder. 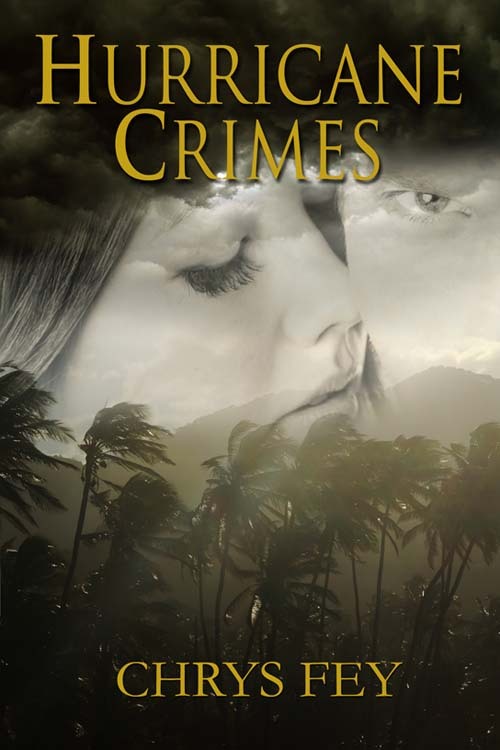 I want to share with you a spoiler moment in Hurricane Crimes with his journal. Beth flinched. “I…” She paused for a fraction of a second to adjust her reply. “I have what you want. I have his brother’s journal.” She glanced at Donovan’s wide eyes. “It’s out in the canoe. I can get it for you.” She went to turn, but froze with a spine-jerking flinch when Chewy fired the gun. Water flew into the air a few inches from where she stood. “You better or it’s a bullet into Goldwyn’s brain.” He motioned for her to get it. She kept all of her movements slow and cautious even as she held up a black, leather-bound journal. The two men in front of her had opposite reactions. Chewy looked triumphant while Donovan looked betrayed. His eyes cut into her like lavender blades. She swallowed against the pain. “Give it to me!” Chewy held out his hand for the journal. QUESTION: What do you think about Beth's actions in this scene? 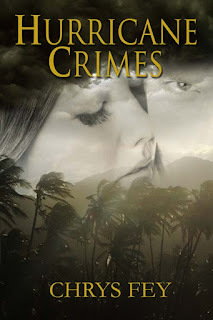 If you haven't read Hurricane Crimes yet, what do you think happens next? I remember that scene. Such a great story. Really! I wish you epic sales and a million shares. Sometimes a no win situation, have to make a choice in the moment like she did. Exactly. You have to do something. Does she throw it in the water? Then they go fishing for it and she and Donovan are able to get away or at least attack them? Glad you enjoyed it, Yvonne. She held up A black leather-bound journal. Not HIS, or HERS, just A. Hmm... interesting. Riveting excerpt! Maybe she flings it into the water to distract him or it's not the journal at all? If I were her and saw the disappointment in Donovan's face, I'd lob the book as far away as possible and whilst the baddy was distracted grab the gun I'd been shuffling with my feet and turn the tables. Hopefully Donovan would have also taken advantage of the distraction to get away. Now I'll have to read the book to find out. Great stuff, Chrys. Thanks so much for sharing. He doesn't understand that she is going to beat these guys at their own game. I would say she tosses it in the water. They run towards the journal, she picks up the gun, and voila--she saves the day. It seems to me like she had little choice. She might have a trick up her sleeve, but I don't know what it would be. Good excerpt. I did not realize that. I need to look it up. Thanks for the tip! What a scene. Congrats Chrys. It's a good scene. One of my favourites of the story. I won't give anything away, but I love what Beth has done. Very smart and resourceful. That was a good excerpt. I enjoyed reading your book and loved all the action in it! I remember that scene! It's great to see it again! She's pushing a gun with her foot? She shoots him? Nice excerpt, Chrys. I think Beth had very little choice here. Thanks, Claudine. I think so, too.